El objetivo del presente artículo es contextualizar las novelas de crímenes medievales de Indrek Hargla, escritor estonio contemporáneo de novela negra, y demostrar que la experiencia histórica de una comunidad (en este caso, la estonia) y el modo en el que percibe su patrimonio cultural puede incluso subyacer en una literatura no convencional como es la ficción criminal. El patrimonio cultural se convierte en parte de una narración que une un objeto cultural y su comunidad en un sistema compartido de valores y creencias. Sostenemos que el hecho de que Hargla evite la descripción convencional de la Edad Media como cruel, primitiva e irracional, promoviendo, por el contrario, una visión de la Tallin medieval como la de una ciudad vibrante, multinacional y en rápida evolución, gobernada por la justa y racional ley de Lübeck, ayuda a apoyar la propia imagen positiva de los estonios en su búsqueda para definir y redefinir su identidad nacional, desplazándola desde un acercamiento estrictamente étnico a un enfoque más amplio de diversidad histórica y cultural. The aim of the present article is to contextualize the medieval murder mysteries of the contemporary Estonian crime writer Indrek Hargla and to show that the historical experience of a community (in this case Estonian) and the way it perceives its cultural heritage can inform even non-mainstream literature such as crime fiction. Cultural heritage becomes part of a narrative that binds cultural object and the community together into a shared system of values and beliefs. I argue that the fact that Hargla avoids the conventional description of the Middle Ages as cruel, primitive and irrational, promoting, on the contrary, a vision of medieval Tallinn as a vibrant, multinational and rapidly-evolving merchant town governed by just and rational Lübeck law, helps to support the positive self-image of Estonians in their quest to define and redefine their national identity, shifting it from a strictly ethnic approach to a broader embrace of historical and cultural multiplicity. The myth of justice and the quest for it are important motifs in Western thought. Greek philosophers distinguished between the just by nature, which is «unwritten, universal, eternal, and immutable» (Nicomechean Ethics 5.7), and positive law, which is local and changeable. The latter is a poor imitation of «real» law. «Nature, human nature, and reason were one» (Gardner, 1963: 3). This is implicit in the Platonic theory of Ideas and Forms, which the Romans adopted and that has made its way into Western thinking. Whether natural or man-made, from Antiquity to today law and justice have mostly been identified with reason and rationality. This counts also for the Middle Ages, for according to medieval scholars, the commitment to the authority of the Scriptures was nothing but reasonable. For the medieval man’s understanding begins with belief in the just and reasonable will of God. According to Thomas Aquinas, natural right ultimately stems from the eternal, immutable will of God, who created the world and governs it with divine providence.1Internet Encyclopedia of Philosophy, (Accessed: 10/11/2016). Thomas Aquinas «divided law into two big categories, eternal and natural, the former being “the reason of divine wisdom” governing the whole universe, the latter the law of human nature, proceeding ultimately from God but immediately from human reason and governing the actions of men only. Thus, natural law is that part of the divine law which is revealed to man through reason» (Gardner, 1964: 9). According to John Rawls (1971: 536), «the members of the community have a common sense of justice and they are bound by ties of civic friendship». Law can be seen as a condition for the liberation of individuals, but also, as Michel Foucault has clearly demonstrated, as a form of social control. Either way, law always stands at the core of any civilized community. Law provides a sense of legitimacy, authority, and security that helps people navigate a confusing world. Detective fiction as a genre is explicitly concerned with legal issues and with problems of justice. Some scholars consider it nostalgia in the age of postmodernism where all claims to truth are rendered dubious. Classical (as opposed to postmodern) detective fiction is based on the belief that we live in a rational universe where truth can be established by reasoning and civilisation supported by just and moral law. Threats to social order are random and criminals are brought to justice sooner or later. In this sense, detective fiction does little more than repeat questions raised since the dawn of civilisation: how can we organise our ways of living together and what are the threats to this coexistence. Belief in a just society in classical detective fiction is certainly not unproblematic, and it has its nuances. American hardboiled fiction written between 1930 and 1960 deals with a legal system that has become corrupt, and there are countless fictional detectives and lawyers who experiment with the boundaries of law and walk a fine line to save people from trouble. But even the depiction of the police institution as inadequate or corrupt does not mean that the basic beliefs and values of western civilisation are called into question. Detective fiction can be considered a mirror of social values, morals, and truth procedures, as well as a reflection of a certain period’s power relations and scientific knowledge. People enjoy crime fiction for different reasons, among them the possibility of playing the game of solving the mystery along with the detective. I dare to claim that the reassuring effect that order can be brought out of chaos and that justice prevails in the end are no less important. 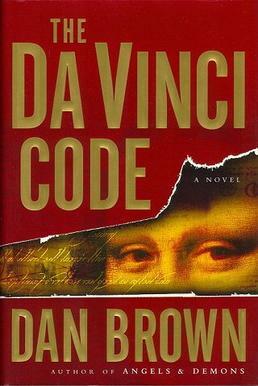 According to Gareth Watkins (2007), «Fictional detectives have always upheld private and public codes of justice, although some favour one over the other. They always succeed because a solved mystery is reassuring to readers, asserting the triumph of reason over instinct and of order over anarchy». Samantha Walton (2015) notes that there is even a widely held perception of golden-age, relatively bloodless detective novels as «cozy» Walton’s assertion absolves the lovers of this genre from the accusation of being attracted to violence. The rational overtone of classical crime fiction, however, does not exclude imagination, emotion, intuition, speculation, characteristics that Tawnee Sparling (2011: 201) calls «romantic». The presence of «romanticism» in a detective story brings the reader out of his or her comfort zone, throwing him or her into the realm of the «uncanny». The latter’s presence in different sub-genres of crime fiction varies. Gothic crime mysteries may best exemplify this claim. Recent decades have seen the explosion of the popularity of medieval murder mysteries, triggered by Ellis Peters’ The Cadfael Chronicles (1977) and Umberto Eco’s The Name of the Rose(1980). The reasons why readers enjoy historical mysteries are manifold. One reason is probably the interest in a strangeness of a different past, a darker side of society, often linked with the modern man’s representation of the Middle Ages as irrational, brutal, primitive, fanatic and narrow-minded. Thus The Cadfael Chronicles for instance make the reader face an England replete with intrigue, ambition, pride, and hypocrisy. Although the protagonist represents the voice of reason among his superstitious, naïve, or power-hungry contemporaries, solving the murder mystery by reason and logic does not mean that the society itself is pacified or «enlightened». In the Cadfael-type of murder mysteries, the protagonist often belongs to the clergy and excels through superior wisdom (a reflection of the «real» wisdom of God) that transcends the darkness of the age. The aim of the present article is to contextualize the medieval murder mysteries of the Estonian crime writer Indrek Hargla. I will bring forward their difference from the above-mentioned use of the Middle Ages as cruel and primitive or dealing with «deeper mysteries of God and universe». I seek to show that the historical experience of a community and the way it perceives its cultural heritage can inform even non-mainstream literature such as crime fiction, which has other priorities beyond historical authenticity. I seek to show why Hargla’s medieval murder mysteries use the dark side of the Middle Ages only moderately, promoting a positive image of the Middle Ages. One would expect that novels pertaining to this genre would favor a more uncanny atmosphere. Indrek Hargla (the pen name of Indrek Sootak, born in 1970, a lawyer by profession and a former employee of The Estonian Ministry of Foreign Affairs) is one of the bestselling contemporary Estonian authors. His Apothecary Melchior mysteries that take place in medieval Tallinn comprise five widely translated volumes.2Apothecary Melchior and the Mystery of St Olaf’s Church (Apteeker Melchior ja Oleviste mõistatus, 2010); Apothecary Melchior and the Ghost of Rataskaevu Street (Apteeker Melchior ja Rataskaevu viiras-tus, 2010); Apothecary Melchior and the Hangman’s Daughter (Apteeker Melchior ja timuka tütar, 2011); Apothecary Melchior and the Strangler of Pirita (Apteeker Melchior ja Pirita kägistaja, 2013); Apothecary Melchior and the Chronicle of Tallinn (Apteeker Melchior ja Tallinna kroonika, 2014). Some consider him the founder of the Estonian gothic novel, although, as I will explain below, I disagree with this claim. Hargla uses the traditional dual structure of the crime novel: the story of the criminal event and the story of the investigation (Todorov, 1977). As in traditional crime novels, Hargla limits the number of suspects and provides the reader with details that enable him or her to guess the identity of the guilty suspect. At the end of the story, the investigator calls the suspects together and reveals the murderer’s identity. The investigator relies on reason, logic, and his skills in deduction to come to the conclusion. Melchior Wakenstede is an entirely fictional character who investigates murders in 15th-century Tallinn. He is a merry-spirited apothecary who owns a pharmacy shop and has a great deal of knowledge about medicine, herbs and human psychology. His shop is situated in the center of the city, near Tallinn’s Town Hall square where people visit him to gossip and to try his «health-giving pharmacy-shot». Melchior (probably a German) has a wife of Estonian origin and two children, and his most outstanding feature is his curiosity. Since he is known for his wit and talent to solve crimes, he is often asked by the town’s judge Wentzel Dorn to help him bring its criminals to justice. Melchior is a respected citizen, although not remotely as rich and powerful as many of the merchants and dignitaries with whom he must deal. The reader acquainted with the history of Tallinn –Tallinn’s Old Town is one of the best-preserved medieval cities in Europe and is listed as a UNESCO World Heritage Site− may guess why Hargla has chosen a man of this profession as his main character. Namely, the Pharmacy of Town Hall in Tallinn is the oldest pharmacy in Europe that has continuously been working in the same building since the early 15th century. In Hargla’s novels, it is Melchior’s dream to buy it one day, although in the novels published up to now, he has not yet had this possibility. The city, with its churches, convents, guild houses, and other buildings, occupies a prominent position in the novels. Melchiors’s more distant aim in solving crimes is to keep his hometown safe. Rotger often asked Hinric to tell him about this country named Livonia, which is dedicated to the Blessed Virgin Mary and which is ruled by no king nor duke, where towns are governed by free merchants and countryside by the knights of the Order and the bishops, but in the villages there live peasants, who do not even speak German and who, after the mass, sometimes go to the forest to worship idols (Hargla, 2014: 18).3Here and below my translation, K. S.
The old town of Tallinn is an important part of Estonian cultural heritage. The sense of national identity is linked with historical and cultural memory. «Cultural memory determines the general framework within which the past acquires a meaning and history becomes possible. Concurrently, cultural memory determines the events to be recorded and passed on. [… ] Cultural memory is governed by a logic of relevance that gives priority to certain aspects of the past and sidelines others» (Tamm, 2008: 501). Estonia’s national narrative is inseparable from the concept of independence. It starts with the age of «ancient freedom» which was followed by «700-year night of slavery» (a popular image from the 19th century) after the German invasion in the 13th century (Tamm, 2008: 505). In the context of this prevailing discourse that depicts Estonians as victims and Germans as imposers of christianity by means of «fire and sword», it may be difficult to determine at first what position in Estonian identity should be accorded to medieval Tallinn, a historical and cultural space of which Estonians are certainly proud, but which can hardly be considered predominantly Estonian. The present article has no pretension to answer this complicated question on a deeper level. I will say, however, that after the fall of the Soviet Union and Estonia’s regained independence in 1991, Estonians have been in a constant process of rewriting their history and trying to define and redefine their national identity. I would even claim that Indrek Hargla’s medieval crime novels are not irrelevant in promoting a positive self-image of this small nation of only 1.3 million and in shifting it from a strictly ethnic approach to a broader embrace of its historical and cultural multiplicity. Identity and memory are connected. Cultural heritage does not include only self-contained objects from the past but also objects in their symbolic significance. They are part of a narrative that binds objects and community together in a shared system of values and beliefs. «A seemingly stable container of cultural memory is the built environment. The streets of cities and villages, the architecture of the buildings, the artefacts that inhabit the living space, they all testify to the persistence of a culture’s and a society’s memory» (Kluitenberg). In this sense old Tallinn is certainly a memory object, and not a petrified one, but one that is knit into the living culture and its dynamics. As Indrek Hargla has stated (in Herodes, 2012), placing the action of his novels into medieval Tallinn should bring out Tallin’s authentic face as German and Estonian town. He considers its current touristic exploitation −the selling of matryoshkas in some souvenir gift shops, for instance− as inadequate and stresses the importance of presenting the city to the tourists historically and truthfully. In this context it should be mentioned that as the result of the Great Northern War in 1700-1721, Estonia became part of the Russian Empire. This constitutes a later period of history, however, and even at that time and in spite of the intensive politics of russification, Estonia remained mentally connected with German cultural space. The Baltic Germans comprised the social, political, and cultural elite for several centuries. They held citizenship of the Russian Empire until 1918 and Estonian citizenship until 1940, until the signing of Molotov-Ribbentrop Pact and the subsequent Nazi-Soviet population transfers. Baltic German intellectuals and estophiles encouraged even the Estonian national awakening in the mid-19th century. For those reasons, Estonians hold a mixed attitude towards Germans (and I do not include here the history of the 20th century): on the one hand Germans are the intruders who forcefully ended the ancient «golden age» and forced Christianity upon «a free nation». They were the landlords and exploiters for centuries. On the other hand, German culture is the breeding ground of Estonian national awakening and the counterbalance to the politics of russification. Indrek Hargla promotes a third attitude: the understanding of Estonian identity not in terms of one ethnic nation versus or juxtaposed to another, but as a melting pot of numerous components of different cultures and ethnic origins that cohabit happily inside every individual in the same way the Germans, Swedes, Estonians, and others live together unproblematically in 15th-century Tallinn, the vibrant merchant-town in profitable economic relations with both Western-Europe and Novgorod. And for the town to flourish and for everyone to live a good life here, there could be no abscesses … Melchior was afraid of a town, where a murderer went un-punished […]. A town — it is people gathered inside its walls for security, people, who want to live safely, to breathe, to think, to seek their luck, without fear that somebody would take away their breath of life. These people have agreed to respect one another’s lives and rights and the Town Council is set to make sure nobody cherishes his own rights more than the rights of his neighbor (Hargla, 2010b: 17). The only place of unpredictability is the castle on Toompea hill, the space of nobility and the rule of the Teutonic Order. Hargla does not build any other oppositions than the one between the nobles and the rest of the population. The nobility has its games of power and dubious ethics that the citizens do not understand. They prefer to keep their distance. When a mysterious murder occurs in the Upper Town, Hargla lets the murderer escape into Down Town, since this is the place where justice can be pursued by logic and common sense. Otherwise there are but minor conflicts between the different groups of Hargla’s medieval society. In Apothecary Melchior and the Strangler of Pirita, a Bridgettine monastery is being built on the territories of the Teutonic Order surrounding the city, and the merchants are afraid the Bishop will grant it some privileges inside the town walls. But Melchior is not worried. He believes that in the world of God there is enough room for both the town and the monastery. Moreover, the monastery does not constitute a closed and mysterious space of its own. Rather, it is depicted as a community of real sisterhood or even a space of medieval feminism. Ruled by an entirely common sense abbess −who does not impose strict fasting rules on the nuns and states that Saint Benedict made these rules far in the South and that these are therefore not practical in the cold climate− it is more like a freely chosen spiritual way of life for women who want to avoid forced marriage or find refuge for whatever reason. Religious space does not contrast with secular space. They are intertwined and complement one another: «Life in the Hanseatic town followed a fixed rhythm. The catholic calendar reflects logical commercial life derived from the laws of nature» (Hargla, 2010b: 17). The motif of walls that connect and walls that separate is constantly present in these novels. Estonia itself is perceived as a sort of wall since it situated on the edge of Christian lands. This is why Hargla makes the last of the Templars to come to Estonia. According to a legend, after the destruction of the Order, the remaining Templars were scattered to the farthest corners of the Christianized world. Why not Estonia? The town is surrounded by the city wall, and outside the town there are unknown territories and the sea: a space of trade, but also of danger. The gallows and the leprosarium are situated outside the walls. In Apothecary Melchior and The Chronicle of Tallinn the leprosarium is also the living place for a monster-looking girl Carstine, born from an incestuous relationship. She has no place in the town’s territory as «walls unite and walls separate, walls announce the border between two worlds and two justices, walls separate the world of the living from the world of the dead» (2014: 87). Hargla has carried out a great deal of research to depict truthfully the functioning of a medieval city with its political factions, its merchants and their links with overseas towns, with artisans, clerics, sailors, builders, jugglers, and the executioner. He breathes life into old legends, for instance the one about the builder of Saint Olaf’s church, a church dating from the 13th century that was allegedly the tallest building in Europe at that time and that still overlooks the old town of Tallinn. The very positive way Hargla depicts Tallinn as a merchant town, the «little sister» of the major Hanseatic city Lübeck, gives his novels an atmosphere that makes it difficult to classify them as gothic novels, although this is exactly what has been done by Finland’s Association of Crime Fiction in 2015. The Association recognized Hargla for his «ability to be a guide for the reader in the grim gothic atmosphere of a medieval city». [footenote]Postimees (newspaper), 11/02/2015. [/fotenote] As mentioned above, the era certainly adds excitement to the story, but gothic horror is much more macabre and morbid. It uses gloomy scenery of decay to achieve its effects. «The setting is greatly influential in gothic novels. It not only evokes the atmosphere of horror and dread, but also portrays the deterioration of this world. The decaying, ruined scenery implies that at one time there was a thriving world. At one time the abbey, castle or landscape was something treasured and appreciated. Now, all that lasts is the decaying shell of a once thriving dwelling» (De Vore et al.). This definition of the gothic is quite contrary to the atmosphere of Hargla’s novels that depict Tallinn as positively as a basically rational community where horrific acts are but occasional and rapidly uprooted, so that the city’s life can turn back to normal.. The «merchant mentality» is resurrected by the novels in the form it had taken in Europe by the end of the 14th century. Agustín González Enciso (2012: 24) describes a medieval merchant as «beholden to his family, his firm and his city; this marked the horizon of his sense of common good and fellow feeling». A merchant had to find a balance between self-interest and the interest of the community. As he travelled a lot he was often more experienced than the majority of the population who never crossed the borders of their own kingdom (ibid.). Aron Gurevich (1990) argues that merchant’s mentality was substantially different from that of knights, clergy, or peasantry. The church maintained a certain prejudice against trade in the name of Christian ethics of poverty and the nobles regarded the city-dweller with scorn and no chivalric virtue was expected of him. The nobility cultivated a disdain for merchants as money-hungry and money-saving and prided themselves for spending uncontrollably and for their magnanimity. In the predominantly agrarian society of the early Middle Ages the merchant played a smaller role, but he gradually became «a figure of primary importance who embodied new relationships that sapped the traditional foundations of feudalism» (Gurevich, 1990: 243). By the 14th century merchants held all power in the cities, and it was here that a new ethic of work and property was forged. Gurevich (1990: 259) mentions a Lübeck merchant Bertold Ruzenberg who wrote in his will with pride that he had not inherited anything from his parents and had obtained all his wealth through hard work. This episode demonstrates a reversal in society’s attitude: now it is the nobleman who is the object of scorn since his merit is based only on origins. This is exactly the atmosphere Hargla creates in his crime novels. 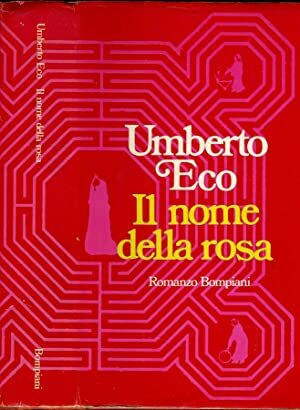 He includes the «gothic» element in a playful manner, which does not mean that his novels are not exciting or occasionally even cruel, since the victims of the murderer are often likeable characters with whom the reader empathizes. The latter is something that does not allow us to classify Hargla’s novels as entirely «cozy» in the way Agatha Christie’s are (Hargla himself has admitted that Christie is still his favourite crime writer, definitely more than Ellis Peters to whom he has often been compared). We can see through Hargla’s example that historical novels, even detective novels, tend to reflect a certain historical experience of the community in which the author partakes. Since Estonia regained its independence in 1991, its identity discourse has constantly been wavering between a strictly ethnic approach and a broader embracement of its historical multiplicity. Its protestant past, IT-oriented presence and its current place at the top of the least religious countries in the world contribute to its self-image as a practical, hard-working and basically rational community in mutually beneficial relations with the rest of the world. We can see that Indrek Hargla’s crime novels imply the mental pattern of protestant work ethics and rationality rather than aristocratic ideals or interest in spiritual speculations: «[…] nowadays an old and honorable family costs nothing. The only thing that costs is money. And besides money, a man himself. […] A man of a lower rank can be diligent and hard-working» (Hargla, 2014: 137). The inner workings of Hargla’s medieval society are closely linked to the administration of justice. Hargla, a lawyer by profession, has been interested in medieval law in its complexities: the law regulating the work of the town’s hangman, the executions and forms of punishment, the agreements between the Town Council and the Teutonic Order (Treufeldt, 2011). These practices of medieval law are certainly amusing to our contemporary reader, but they encourage the reader to reflect upon truth and justice as well as the means of achieving the latter. In the Middle Ages, an investigation was generally started by a complaint of an injured party to a local authority. The juridical figure obtained witnesses and interrogated them to determine guilt on the basis of the witnesses’ testimonies. The truth could also be established in trials by water or fire, but from the 12th century onward new legal procedures were established that offered reason as an alternative to violence. Again, these were the cities that sought to free themselves from the brutality and incertitude of feudal forms of justice. «The development of medieval cities frequently involved a struggle for judicial autonomy, which eventually manifested itself through the participation, if not the seizure, by the bourgeois classes of the implements of regulation. The imposition of fines and judicial pilgrimages, as well as the use of mediators, comprised original forms of conflict regulation that were born in these face-to-face societies» (Rousseaux, 1997: 101). The bourgeois classes had their systems of control with mutually-valued and accepted practices including negotiations with the injured party, financial and religious sanctions, and reconciliation administration of justice. Hargla, a lawyer by profession, has been interested in medieval law in its complexities: the law regulating the work of the town’s hangman, the executions and forms of punishment, the agreements between the Town Council and the Teutonic Order (Treufeldt, 2011). These practices of medieval law are certainly amusing to our contemporary reader, but they encourage the reader to reflect upon truth and justice as well as the means of achieving the latter. In the Middle Ages, an investigation was generally started by a complaint of an injured party to a local authority. The juridical figure obtained witnesses and interrogated them to determine guilt on the basis of the witnesses’ testimonies. The truth could also be established in trials by water or fire, but from the 12th century onward new legal procedures were established that offered reason as an alternative to violence. Again, these were the cities that sought to free themselves from the brutality and incertitude of feudal forms of justice. «The development of medieval cities frequently involved a struggle for judicial autonomy, which eventually manifested itself through the participation, if not the seizure, by the bourgeois classes of the implements of regulation. The imposition of fines and judicial pilgrimages, as well as the use of mediators, comprised original forms of conflict regulation that were born in these face-to-face societies» (Rousseaux, 1997: 101). The bourgeois classes had their systems of control with mutually-valued and accepted practices including negotiations with the injured party, financial and religious sanctions, and reconciliation (Rousseaux, 1997). Several studies4Albrecht Classen and Connie Scarborough (eds. ), Crime and Punishment in the Middle Ages and Early Modern Age, Berlin-Boston, Walter de Gruyter GbH, 2012 bring out that although medieval trials are usually associated with spectacular public executions, it was much more common to punish the offender by banishment, public humiliation, imprisonment or punishments in religious fines like prayers, exile, spending time in a monastic cell. Such punishments were less about re-educating the wrongdoer as about restoring the lost balance, both on social and individual levels. The judiciary was more concerned with general security than abstract notions of justice. But as the medieval legal system was not a coherent whole (lay and religious, royal and seigneurial, local and central), it created a confusion about where and by whom the accused should be tried. In most cases, however, lay and ecclesiastical law respected each other. The Lübeck law does not tell us much about crimes committed against divine justice and it is much more difficult to find justice in marital matters than in rob-bery or murder. […] Adultery is a serious crime […] but the law does not allow to chop off the members of the wrongdoers or to hang them like ordinary criminals: in marital matters ecclesiastical punishments had to be applied […] they can be punished by excommunication or pilgrimage or penitence, but not by violence (Hargla, 2014: 29). Dorn disliked the matters linked with high officials and foreign territories […]. Ac-cording to his oath of office he had to keep peace and pass judgements in Tallinn, and for this the Town Council had given its laws. These laws were simple and clear to put in chains those who sold wrongly weighed goods at the mar-ket place or to impose a fine on the apprentices of the tanner for fighting with knives during the nighttime −in Dorn’s opinion this was the most important part of the work of a town judge, and that was something he could do well and ac-cording to his good conscience, for he knew that the town will benefit from it. But to seek the murderers of the high-ranking foreign knights of the Order− this task he would have gladly left to someone else (Hargla, 2010a: 20). Melchior mostly shares the understanding that strict rules are necessary for keeping peace, but he also has an ethics of his own. He does not accuse those who have killed in order to protect their rights, property, life, or virginity, nor does he condemn who have killed to revenge an iniquity. He trusts that the final judgement will be in God’s hands. Melchior shares the position of his innumerable fellow-detectives in crime fiction whose respect for the law does not exclude a personal moral code and understanding that justice and fairness are not always identical. What is especially interesting is that Hargla makes Melchior the son of a feme- judge, «a free judge», a secret that Melchior discovers accidentaly in his later life. The feme-courts (or vehmic courts) were active during the later Middle Ages mostly in Westphalia. They received their jurisdiction from the Holy Roman Emperor. The idea was that originally the power over life and death was reserved to the Emperor alone, but it had been usurped by territorial authorities. Hence alternative courts were created to execute capital punishments «in the name of the Emperor» everywhere in the Empire’s territory. The only punishment which these courts could inflict was death. A knife with the mystic letters was left beside the corpse to show that the deed was not a murder. The feme-courts acquired an infamous reputation and later this term was associated with lynching. But here again Hargla reverses that connotation and links the feme-judges, who pursue the accused everywhere and indefinitely, with a kind of eternal justice that crosses boundaries and generations/centuries. Still, this is not divine justice, but an entirely earthly one which brings us back to the distinction between natural law and positive law recalled in the beginning of this article. In conclusion, I would like to turn to Martha C. Nussbaum’s statement (2013) that for feeling secure we need to perceive the society as a union and not as an opposition of different groups and individuals. Crime fiction promotes more or less explicitly the need of finding security in a society linked by commonly accepted rules and values. In gothic fiction this common sense is called into question and the irrational and uncanny become inseparable parts of the environment. That is why I would classify Indrek Hargla’s novels as historical crime novels with some gothic elements (to add colour and enigma), and not «gothic» in the strict sense of the term. Through his novels, Hargla has greatly popularized medieval Tallinn, and it is even hard to say whether old Tallinn is the background of Melchior’s adventures or Melchior’s adventures the pretext to revive one important part of Estonian cultural heritage. Hargla already has his fan base at home and abroad who visit the places mentioned in the novels, a bit in the way Dan Brown’s Da Vinci Code has established its tourist routes. Estonian transmedia students are exploring possibilities of telling the stories of Melchior through different media platforms. The image of Tallinn that Hargla revitalizes is that of a vibrant city, close to the one its residents would like it to have today: open-minded and positively evolving. At the same time there is a sort of nostalgia about the «coziness» supported by clear values and rules that can no longer be found in our contemporary societies. The use Hargla makes of the Middle Ages has grown out from Estonia’s past and present experiences, the current perception of its cultural heritage, and the wish to use this heritage in building a positive and multifaceted self-image of a nation that too often tends to see itself as victimized by multiple foreign powers. Since only recently popular culture has entered into the academic field of interest, there are not very many studies of the sociology of crime fiction. Still, paying attention to the context of its production and reception, we can see that crime fiction has other functions besides the purely entertaining one. It is a genre par excellence to study societies, as it not only mirrors their special traits and problems, but is also in active dialogue with their needs and interests. GARDNER, James A (1964), «Legal Idealism and Constitutional Law», Villanova Law Review, 10 (1), pp. 1-42. GONZÁLEZ ENCISO, Agustín (2012), «The merchant and the common good: social paradigms and the state’s influence in Western history», in The Challenges of Capitalism for Virtue Ethics and the Common Good. Interdisciplinary Perspectives, eds. Kleio Akrivou y Alejo José G. Sison, Cheltenham-Northampton, Edward Elgar Publishing, 2012, pp. 21-36. GUREVICH, Aron (1990), «The Merchant», in Medieval Callings, ed. Jacques Le Goff, Chicago, The University of Chicago Press, pp. 243-284. HARGLA, Indrek (2010a), Apteeker Melchior ja Oleviste mõistatus, Tallinn, Varrak. HARGLA, Indrek (2010b), Apteeker Melchior ja Rataskaevu viirastus, Tallinn, Varrak. HARGLA, Indrek (2011), Apteeker Melchior ja timuka tütar, Tallinn, Varrak. HARGLA, Indrek (2013), Apteeker Melchior ja Pirita kägistaja, Tallinn, Varrak. HARGLA, Indrek (2014), Apteeker Melchior ja Tallinna kroonika, Tallinn, Varrak. HERODES, Kristiina (2012), «Apteeker pärast tööaega» (Interview with Indrek Hargla), Home page of Estonian Foreign Ministry (Accessed: 21/12/2016). KLUITENBERG, Eric. «The Politics of Cultural Memory». The final text has been included in the book MEDIA · REVOLUTION, edited by Stephen Kovats, Edition Bauhaus #6, published by the Campus Verlag (Frankfurt a/M & New York), released as a bilingual German/English edition, October 1999. NUSSBAUM, Martha C. (2013), Political Emotions, Cambridge, Harvard University Press. RAWLS, John (1971), A Theory of Justice, Cambridge, Harvard University Press. ROUSSEAUX, Xavier (1997), «Crime, Justice and Society in Medieval and Early Modern Times: Thirty Years of Crime and Criminal Justice History», Crime, History & Societies, 1 (1), pp. 87-118. SPARLING,Tawnee(2011),«Rationalism and Romanticism in Detective Fiction», Anderseits. Yearbook of Transatlantic German Studies, 2 (1), pp. 201-208. TAMM, Marek (2008), «History as Cultural Memory: Mnemohistory and the Construction of the Estonian Nation», Journal of Baltic Studies, 39 (4), pp. 499-516. TODOROV, Tzvetan (1977), «The Typology of Detective Fiction» in The Poetics of Prose, Cornell University Press, pp 42-52. TREUFELDT, Indrek (2011), Interview with Indrek Hargla, (Accessed 16/12/2016). VORE, David De, Anne Domenic, Alexandra Kwan, and Nicole Reidy. «The Gothic Novel». UC Davis University Writing Program. WALTON, Samantha (2015), Guilty but Insane: Mind and Law in Golden Age Detective Fiction, Oxford, Oxford University Press. WATKINS, Gareth (2007), «Crimes of Conscience: Morality and Justice in Doyle and Christie». Crimeculture, (Accessed: 14/09/2016).